Once upon a time (and long before I learned about the tidyverse and %>%, a colleague from a not-for-profit org asked for help with a map for a book. This is a how-to based on a lightning talk on how I created a CC-0 based high-res map with Rstats. 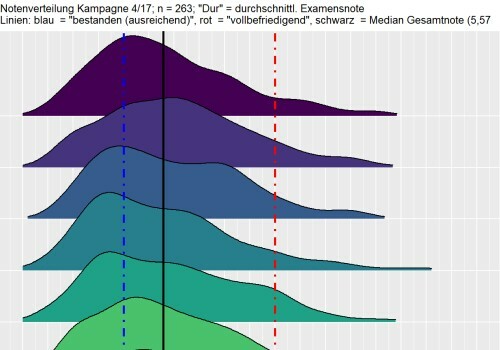 German Zweites Juristisches Staatsexamen (2nd State Exam in Laws) is said to be tough. Let’s have a look at how hard it really is by visualising the distribution of grades from the Berlin 2017/IV campaign.